I was trying to be calm that time. Well, cguro I was calm kai it was my bestfriend who was panicking. Pero akong hunahuna ambot gubot kaau! 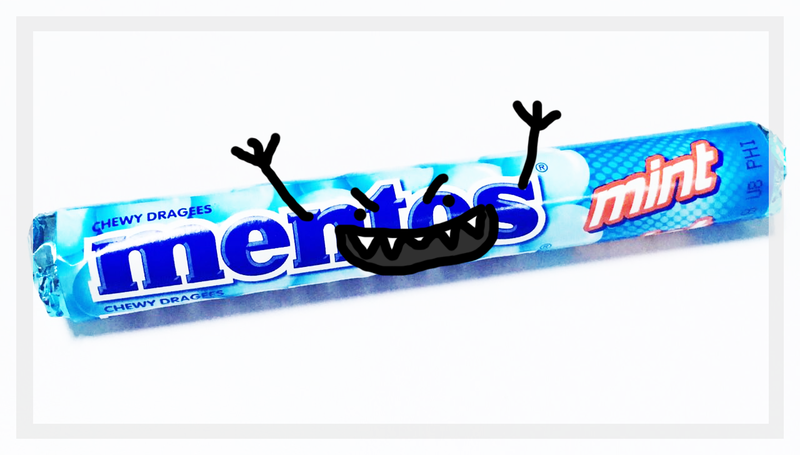 As a kid, natuk-an pud ko sa Mentos sauna. Hahahaha! Wala pud diay gi chew daan ni Akee? or basin na aksidente pud to niya ug tulon. Ga too gyud ko nga ang mahitabo kay naka inom ug coke si Akee unya ni tulon siya ug mentos. Dili na niya ichew ang candies, Ji. What a scary experience! Hard candies can definitely be dangerous for children. My son always tries to eat my peanut M&Ms, and even though I cut them up for him, I'm always afraid he will choke if he grabs a whole one. So scary! I would have made them do a scan too. I'm so glad she was OK, and your niece too. I'm always afraid one of my boys will stick something up their nose too. That's such a scary thing but I'm happy you went the extra mile to stay on the safe side. I remember the scares I had with my children when they were toddlers and they were no fun. We had this same experience with a peppermint and it was so scary. No one is judging you, we all have these scares and it is no fun but thankfully we learn from it! My little pne is 13 months and wants everything I am eating. It makes me so nervous half the time I have cut the food up so small she cannot grab it. I am so glad you shared. It could happen to anyone! I choked on a fireball hard candy as a child and it has forever made me afraid of what my children put in their mouth. Small candies like these are a no in my house! Oh yeah, we're all been there! Luckily I've never had to traverse to the hospital or do the Heimlich.